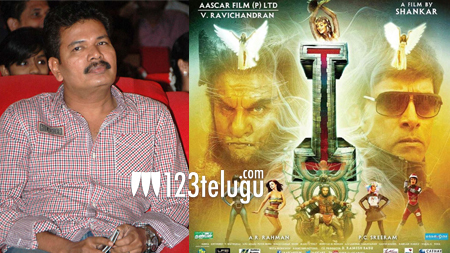 Maverick filmmaker Shankar has found himself in an embarrassing situation. A group of transgenders has vented out their dissent against the director’s derogatory portrayal of a transgender in his latest release ‘I’. The protesting transgenders will meet the Commissioner of Police in Chennai to file a case against Shankar, and even appealed to the makers of the film to delete the scenes that portray their community in bad light. In ‘I’, a transgender, played by famous make-up artist Ojas Rajani, tries to woo Vikram. The transgenders are objecting to these particular scenes. On the other hand, Ojas Rajani has come out in support of Shankar and said that she worked with Shankar for six films, and that the director will not stoop to any such derogatory levels. No official communication has been received from Shankar in this regard. Meanwhile, the transgenders are also planning to stage a protest at Shankar’s house tomorrow.